Sonam Kapoor, Mani Ratnam’s heroine? Dhanush was invited for the Mind Rocks Youth Summit 2011 where he interacted with lots of students and delegates all over the country. Kolaveri rage. The actor also promised many entertaining songs and movie in future . 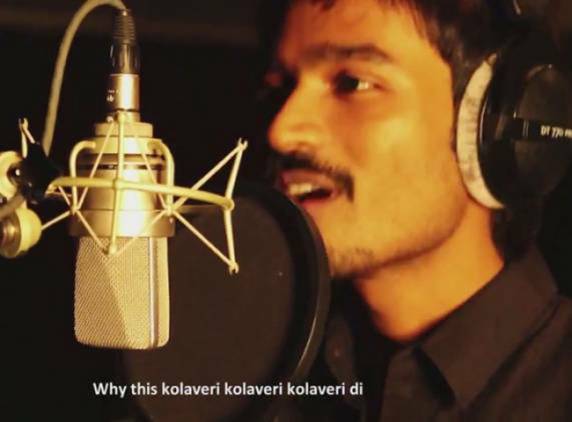 Dhanush in a lighter vein , also expressed his desire to become a full time singer after the huge hit of Why this Kolaveri di from the movie 3. Hansika Motwani who sizzled in Engeyum Kadhal and Velayudham is back this time with Young Super Star STR 's Vettai Mannan. The actress is literally surprised to witness such an energetic person like her co star Simbhu, She is said to be practicing day and night to manage her dancing skills to match her on screen pair , STR who is known for his mind blowing steps with great energy.Hansika is happy that STR likes her cute bubbly looks that will have a deep impact in this movie .Nelson's directorial debut ,Vettai Mannan crew is currently canning climax of the movie and the movie is said to be progressing fast . The Kollywood grapevine is abuzz that hot and happening Bollywood star Sonam Kapoor is going to be ace director Mani Ratnam's heroine in his new film. The film tentatively titled Pookadai will star Karthik's son Gautham who will be debuting as hero. Earlier there were rumours that yester year heroine Radha's youngest daughter and Ko girl Karthika's sister Thulasi would debut as heroine. Much before that there were rumours that Kamal's youngest daughter Akshara will play the female lead. Mani and his cameraman Rajeev Menon had conducted a photo shoot and after thatit seems they have decided to cast Sonam. Mani Ratnam is keeping the entire project under the wraps. So far there is no official word on the project which is set to start rolling early January. Eros International Media Ltd, a leading global company in the Indian film entertainment industry, has announced a co-production deal with Photon Kathaas Productions for a Tamil film titled Yohan: Adhyayam Ondru (John: Chapter 1) starring Vijay. 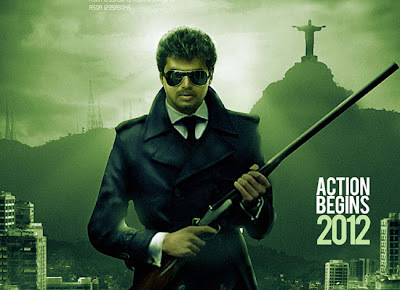 Produced in association with Future Film Production Ltd (UK Production), the film will be directed by Gautham Vasudev Menon with music by A R Rehman and is expected to commence production from Q2 2012. Commenting on the development, Mr. Sunil Lulla, Managing Director, Eros International Media Ltd said, "Eros continues to make advances in the regional film markets and we are happy to associate with PKP and further expand our south repertoire. Yohan: Adhyayam Ondru promises to be one of its kind action thrillers by the very talented Gautham Menon". Mr. Venkat Somasundaram, CEO, PKP added, "We are quite excited about the relationship with Eros. We believe this is the beginning of a long term relationship with Eros that will produce many successful films together". Mr. Gautham Vasudev Menon added, "I am really looking forward to filming an all-out action film after Vettaiyadu Villaiyadu. Also interesting because I will be working with Vijay for the first time. Yohan will be made like an international film while still retaining all the elements, especially music, that makes Indian cinema work. A.R. Rahman has already composed a theme song for the film which is simply outstanding. PKP (of which I am a part of) and I have found the ideal partners in Eros for a film on this scale, which needs to be produced and released on an international scale". Mr. A.R. Rehman said of the association, "I am really excited working with Photon Kathaas and Eros on the movie Yohan. This is a completely new direction for both Gautham and me. We hope to come out with a product which is different yet rooted experience for the audiences"
"I am very excited about this project. Gautham and I have been talking about working together for a while and I'm glad that it's finally materialized. Yohan is a totally new space for me and I'm sure my fans will love this action-thriller film. I am also excited about working with Photon Kathaas and Eros and am sure we will together create a landmark South Indian film", said actor Vijay. 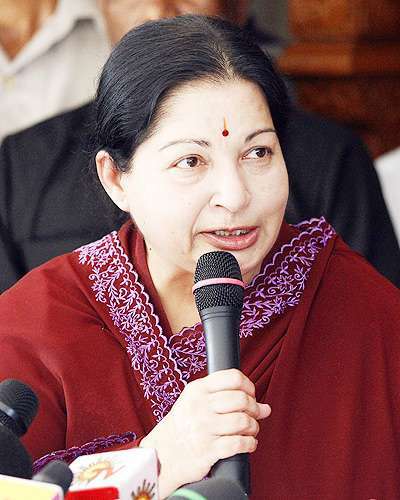 Tamil Nadu Chief Minister J Jayalalithaa on Monday presented Rs 25 lakh to the Chennai International Film Festival. According to a press release from the government, the Indo Cine Appreciation Foundation, which is conducting the film festival in Chennai every year, requested the government to lend financial help to the event. "After considering the request, the Chief Minister decided to allot Rs 25 lakh to the Chennai International Film Festival, to enable the Indo Cine Appreciation Foundation to meet the expenses. On Monday, she presented a cheque for the said amount to ICAF director Thangaraj," said the release. South Indian Film Artistes Association president R Sarath Kumar, Suhasini Mani Ratnam and Lissy Priyadarshini, who are showing keen interest at the event, were present when the CM presented the cheque. They requested Jayalalithaa to preside over the film festival. When it comes to carrying out a role to the hilt no one does it better than Padma Shri Dr. Kamal Haasan. It's known that he is busy with his forthcoming film 'Viswaroopam.' After swiftly crossing the initial glitches that were in the way, the actor along with his team will travel to the States for a month-long schedule to shoot a major part of the film at the US. In 'Viswaroopam' there is a song sequence which requires Kamal's character to perform a Kathak number; hence around 50 dancers from Birjumaharaj's dance school are believed to have flown to Chennai to shoot the number. Another part of this song is touted to be shot from the US. Music for this film is by hit Bollywood trio Shankar - Ehsaan - Loy. The film sees Kamal Haasan playing the lead role with Pooja Kumar playing the female lead. Andrea and Isha appear in important roles in this film. 'Viswaroopam' is touted to release in Tamil, Hindi and English as well. The festival of lights has gone by but the fireworks still continue in cinema halls. '7aum Arivu', the Suriya-A R Murugadoss-Udhayanidhi Stalin venture which hit the screens on the day of lights has completed its 50-day run. The film opened up to mixed responses from all over but a few highlights kept the film going. One of the most promising young actors of Tamil cinema, Suriya's hard work was visible from scene one. As Bodhidharma, a Budhist monk to Aravind a circus artiste, the actor got his act right, leaving his fans in awe. After making a pan-Indian presence with 'Ghajini', Murugadoss chose to throw light on the pride of ancient Tamils in '7aum Arivu'. In a story which is a mix of truth and fiction, the director neatly packaged commercial ingredients in a right dose. The producer was credited by both Suriya and Murugadoss before the release of the film, for spending crores for '7aum Arivu' with confidence. And he continued the same even after its release, by aggressively promoting the movie in all possible ways. With her urban-suave looks, Shruthi won the admiration of the audience in '7aum Arivu'. Acting is in her genes, so no wonder she played with perfection the role of a young scientist who is doing a research on genes. From Ravi K Chandran's cinematography to Harris Jayaraj's music to Antony's editing, everything supported the project aptly. While the cinematographer gave fresh colour to the script with his lens, the music composer elevated the mood with his songs and background score. While the editor's scissors made the film more slick and stylish. Popular actor Sarath Babu and his wife Snehalatha Dikshit (daughter of thespian MN Nambiar) appeared in a family court in Chennai on Monday, in connection with a divorce case filed by the latter on grounds of mental torture. Justice Santhakumari of the third additional family court directed the couple to attend counseling and the case has been adjourned to December 24 for further hearing. Sarath Babu and Snehalatha, who were separated from their respective spouses, met each other a couple of decades ago and decided to marry. They entered wedlock in 1990. Due to difference of opinion, Snehalatha filed a divorce case against Sarath Babu. 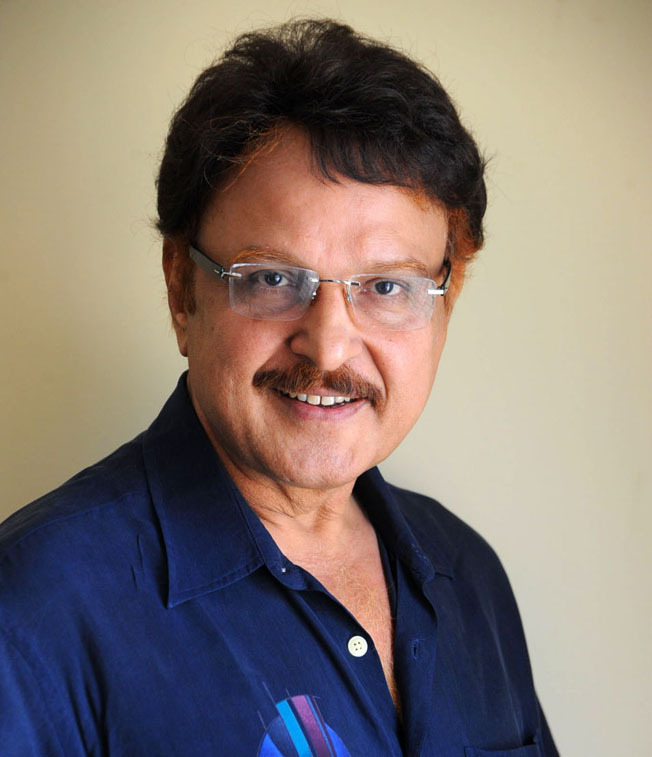 The actor is popular in south Indian languages, especially Kollywood, for his urban, suave roles. Some of his memorable movies include 'Mullum Malarum', 'Velaikaran', 'Annamalai' and 'Muthu', all having Superstar Rajinikanth in lead roles.